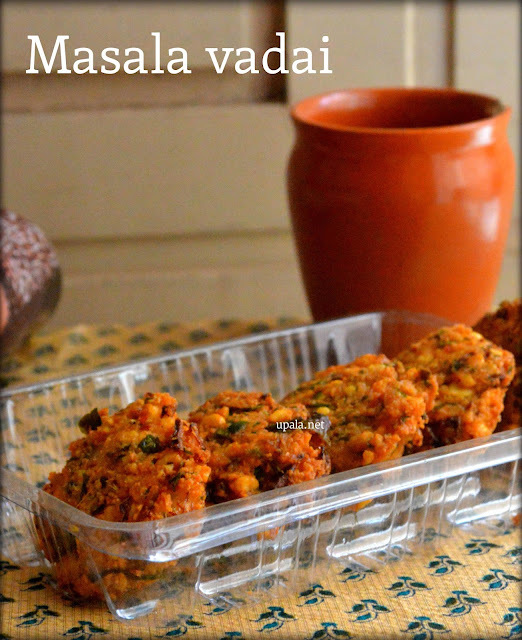 Masala Vadai/Masal vada is a famous Tea shop (Tea kadai) snack in South India. Having a bite of Masala vadai and sipping hot tea is an all time favourite combo. 1) Soak Channa dal for 3-4 hours. Drain water and keep aside. 2) Grind Red chilli, Green chillies, Ginger, Garlic, Asafoetida, Salt and Fennel seeds to coarse mixture. 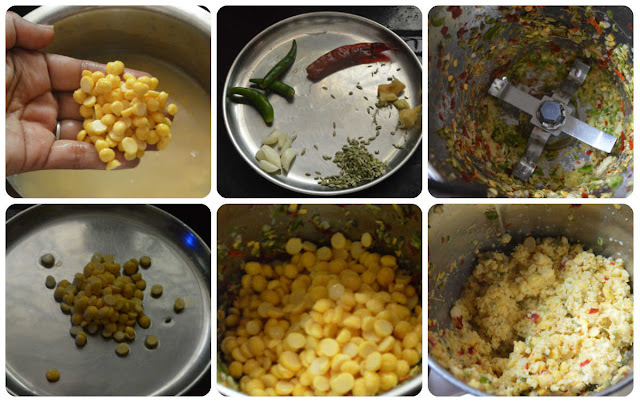 3) Reserve 2 tbsp of Channa dal and add the rest to mixer. Just do 1 or 2 pulse to grind as coarse mixture without adding water. 4) Transfer the ground paste to a mixing bowl. Add the reserved channa dal, Curry leaves, Coriander leaves, Mint leaves, Onions and mix well. 5) Heat oil in kadai, in mean time take a small portion of Masala vadai mixture and make a tight ball. 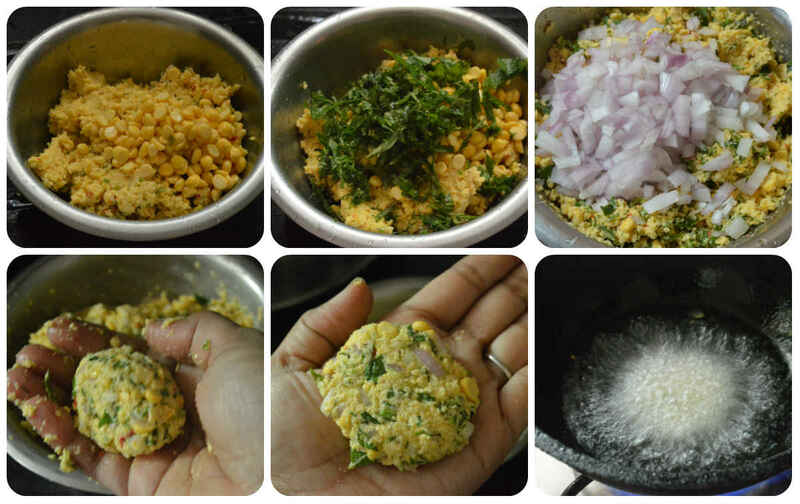 Transfer it to the other palm and press it form a vadai shape. 6) Now drop this vadai in hot oil and leave it to get cooked in medium flame. 7) After one side turns golden brown flip it around to cook other side. Once they are done fully, remove it from oil and drop on paper napkins to drain excess oil. Repeat the same for rest of the batter. You can also drop the vadais in batches in oil. 1) You can also add 2 pinches of Cinnamon powder to Vadai mixture for extra masala flavour.